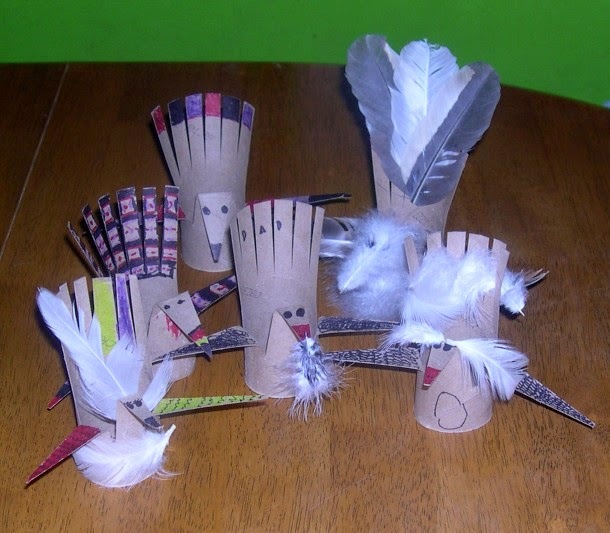 I thought we'd try to make some of the cute paper roll turkeys. Allen thought they needed real feathers, since they're floating around all over outside right now. 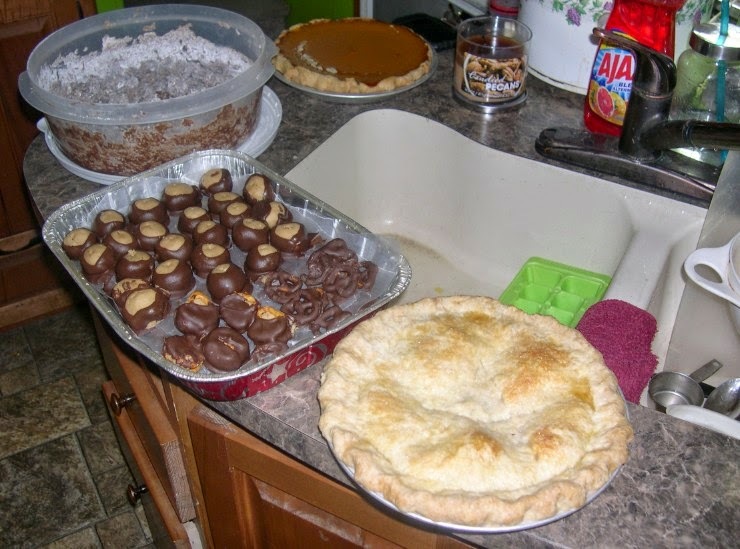 We made seven desserts, for five people. It was crazy, but yummy! While Lizzy and I were baking, Allen and the boys went squirrel hunting and brought back a few more. Walker Kitty enjoyed that cleaning process (ew) and slept in her giant next in the barn for hours. 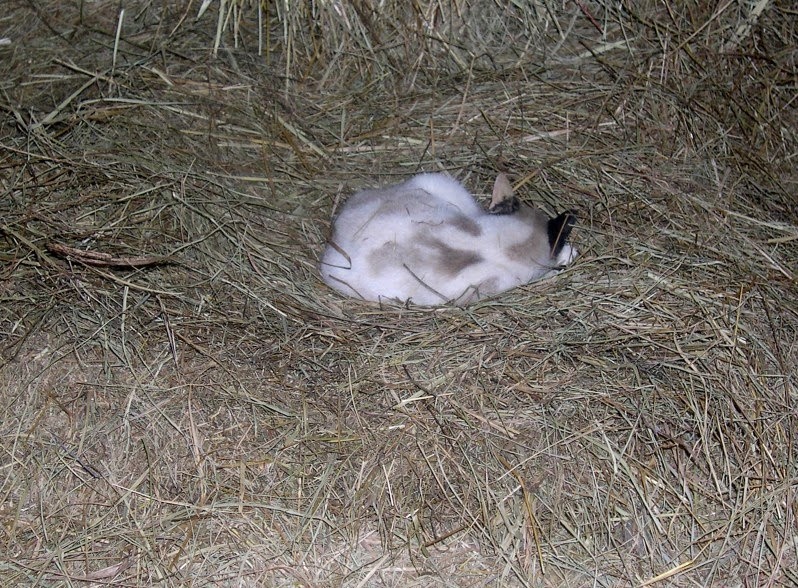 Yes, she made a nest, because that's what cats who live with chickens and rabbits do I guess. Of course after pigging out all day, the rest of us looked pretty much just like this today. 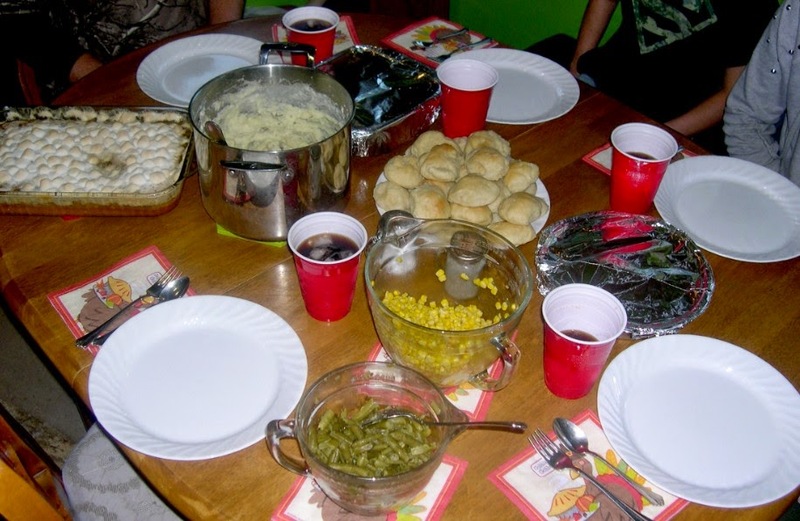 :) Hope you all had a happy Thanksgiving too!